Any softball team wanting to play at the higher levels of the USSSA must rely on a good sponsor. There are entry fees, uniforms and travel costs involved in taking teams to tournaments that may take place far away from home. For those players who played for Prime Time out of Paris, none did it better than Kathy Phillips. The origin of Prime Time can be traced back to 1980 when Phillips started playing on a team in Charleston, Illinois, shortly after she moved to Illinois from Pennsylvania for a job at Eastern Illinois University. The team had many names during the 80s – Ike’s, Sporty’s, Moose Lodge, McDonald’s/Coors Light and BOSS. Although the club played in the Charleston women’s league, they rarely played in tournaments outside their area. 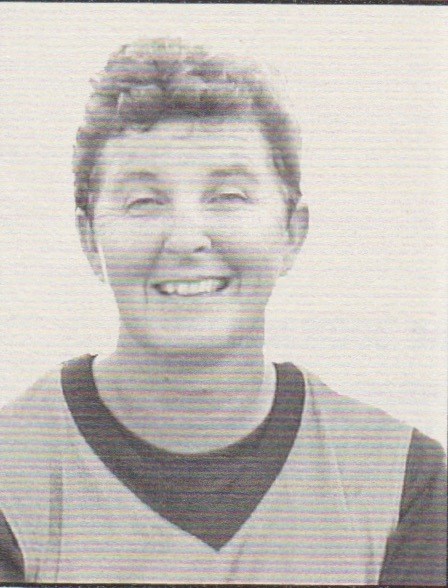 The 1994 season marked a new beginning for Phillips’s team as she took over the sponsorship role and Prime Time was born. Prime Time retired the following the 2005 season after compiling a 535-257 record from 1996-2005. Phillips and her teammates have won their share of titles and championships over the years. The first was a first place finish in the Class C NIT in Louisville, Kentucky in 1995 and then again in 2000. In 2003, Prime Time had what may have been their finest season. That year, the team first captured a pair of titles at NITs in Fort Knox, Kentucky and Rockford’s Forest Hills Diamonds. They followed that by returning to Forest Hills and becoming champions of both the Class C Illinois State and Great Lakes Divisional Tournaments. Their overall record for that season was 37-16. In 2004, Kathy and her team went 41-25 and returned to Rockford and took home with them both the Class C NIT Championship and a Class C State title. Over her career, Phillips has been named to a number of NIT and State All-Tournament teams. Most of those selections were by her teammates, which says a great deal about the respect she has from her peers. Prime Time retired following the 2005 season after compiling a 535-257 record from 1996-2005. We honor a woman who has given so much of what she has to help others. So Kathy Phillips, let the Illinois USSSA be your backer as we welcome you to our Hall of Fame.